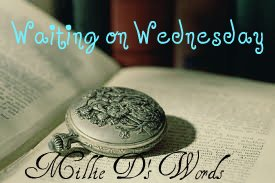 Waiting on Wednesday is a weekly meme hosted by Jill at Breaking the Spine where bloggers like me can show you what makes their hands all grabby. Okay, so the first thing that comes to mind here is 'AWESOME DRESS'. (This coming from a girl that is not particularly fond of frills and such.) The cover looks pretty cool, in all. I read Ruby Red sometime last year, I believe, and I really got wrapped up in the story. The only reason why I picked it up in the first place was that I heard that there was time travel, and being the big history geek that I am, I had to read it. Secondly, I fell in love Gideon. After I got past the ridiculousness of his name, I was digging his broody and hot-then-cold self. I dunno. I blame Bella and her irrational love for Edward even when he dumped her right on her head. NO, it is NOT acceptable for men to just leave us behind with no promise of return while us fragile women wait for his not-so-promised return and then have him return and things go back to normal! NO. Anyway, what are all y'all waiting on? This one sounds interesting. The cover is great! Great pick! I want to definitely read Ruby Red soon. It sounds great! 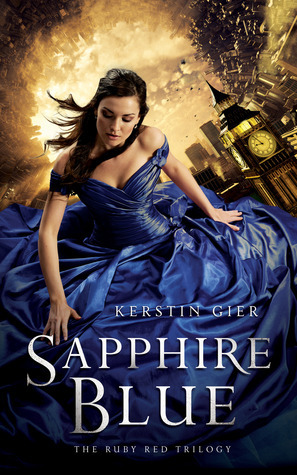 Also love the cover for this book, so gorgeous! Thanks for visiting my post! Don't know this one. Love the cover. I love to hear from people, so comment away! What do you think of this post? Designed by Seo Evie. Powered by Blogger. Hello, I'm Millie Dixon, bringing you news on the latest books I've read. I'm all YA lit and love to rant about them. I talk about whatever I please, and enjoy immersing myself in a nice book. Thanks for stopping by! Millie has read 3 books toward her goal of 80 books. Shadow of the Mark Cover Reveal!